This event will last approximately 1 hour and 15 minutes. 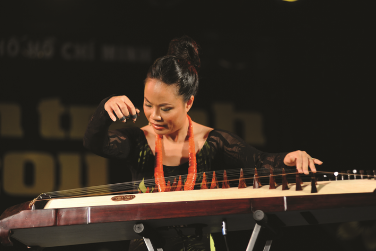 Vân Ánh Võ – the national champion of Vietnamese traditional music, Emmy Award composer, vocalist and educator – and her VA’V Ensemble will showcase Vietnam's 4000-year-old cultural heritage as well as other cultures of the world with a unique combination of Vietnamese, Turkish and Japanese traditional instruments. Under her guidance, the audience will join Vanessa and her ensemble in playing some traditional instruments to create their own music. Don't miss the performance Vân-Ánh Võ And The Va'v Saturday, December 8, 2018 at 8PM!